London Metropolitan Brass – London Metropolitan Brass is a traditional British brass band based in Muswell Hill, North London. London Metropolitan Brass is a traditional British brass band based in Muswell Hill, North London. 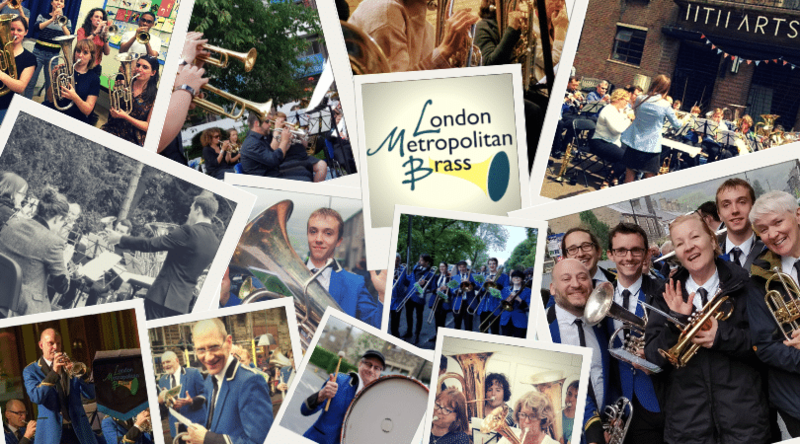 London Metropolitan Brass is an amateur brass band organisation, established in 2013, based in North London. We run three bands catering for over 80 players of all ages and abilities. Performances are the heart of what we do. The band has a busy schedule comprising a mix of local community and charity gigs, formal concerts, TV filming and trips further afield including the Whit Friday marches and our annual band tour. We have had the opportunity to play some fantastic venues including Alexandra Palace, the Southbank Centre, the Olympic Park, RAF Hendon and many famous bandstands across London. We have a vibrant social scene, including regular theatre and concert trips, parties, barbecues, as well as the usual post-rehearsal drinks.